Happy Easter! How are you? Hope all is well! :) Let's celebrate Easter Monday with an awesome giveaway! 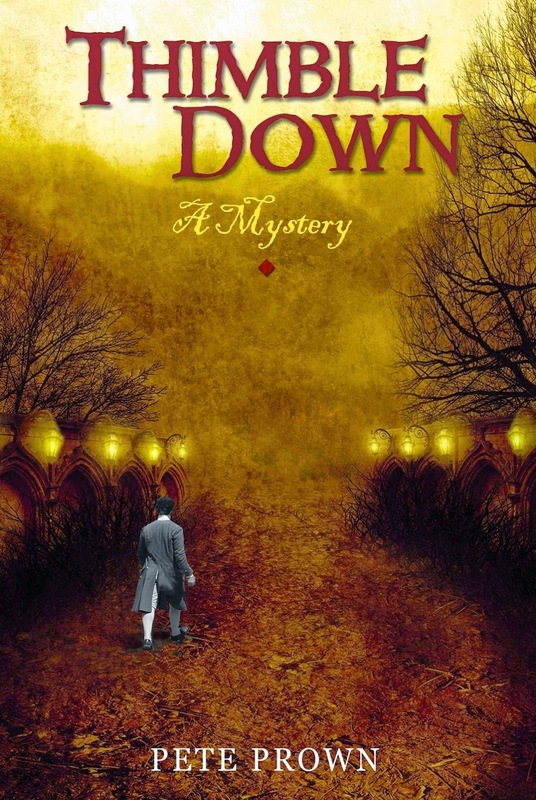 Enter this giveaway for a chance to win an eBook copy (Kindle) of Thimble Down, a fantasy adventure novel by Pete Prown. Thimble Down is a country village where death and malice lurk the quiet lanes. When the vile, drunken Bing Rumple acquires a gem-laden treasure, violence begins to follow him everywhere. Where did Bing find such a precious jewel, and worse, is someone willing to kill to possess it? In this fast-paced adventure, the village bookmaster, Mr. Dorro, and his young companions Wyll Underfoot and Cheeryup Tunbridge are in a desperate race to find the answer—before death comes to Thimble Down. Thimble Down is the first book in the “Chronicles of Dorro” young adult mystery series, which follows Dorro, Wyll, and Cheeryup, on their exciting, but dangerous, mystery adventures. Thimble Down, by Pete Prown, is a fantasy adventure novel, written to challenge and engage young adults ages 10 to 18. The book is recommended for readers who enjoy The Hobbit, Lord of the Rings, The Wind in the Willows, Redwall, Artemis Fowl, and other timeless tales set in landscapes and cultures that bring to mind England, Ireland, Scotland, and the British Isles. Pete Prown is a noted American writer of Young Adult fantasy books, as well as a magazine and book editor, and journalist. He’s written both fiction and non-fiction books, including THIMBLE DOWN and a series of instructional titles about guitars. Also a talented musician and recording artist, his Guitar Garden music is available on CDBaby.com and iTunes. For more information, go to http://peteprown.com/.